We are making the SmoothStepper USB adapter available in our store. 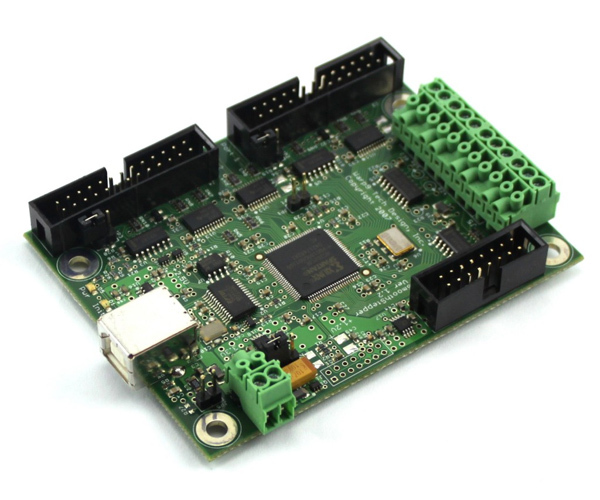 The SmoothStepper elimiates the need for a parallel port, and is a direct connection to our Unipolar CNC Controller. The SmoothStepper is a motion control device that connects to the USB port of a computer. It accepts commands from CNC software Mach3, and produces very high quality pulse trains that drive step & direction motors. Eliminates the need for a computer with a parallel port! Generates pulses at rates of up to 4Mhz, and has 34 I/O ports. Connects directly with our unipolar CNC Controller, using a 26 pin ribbon cable and USB cable (not included).